We’re extremely honoured and proud to educate the next generation of health and fitness professionals, making their mark on the industry. With the highest quality education, our graduates have launched their careers with confidence and have gone on to achieve great things! Check out our the achievements of our Alumni to see where you could take your career! Certificate III & IV in Fitness Graduate, currently studying the Diploma of FItness. 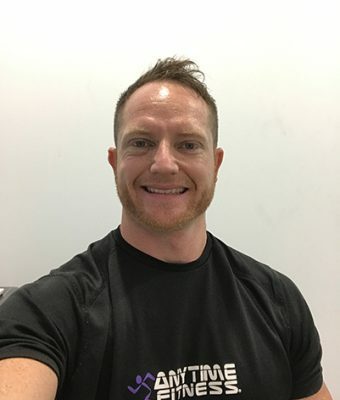 Since graduating with my Certificate III & Certificate IV in Fitness, I have successfully launched my own Personal Training business which I run full time. I have also begun upskilling in several areas including the Diploma of Fitness with Onfit which I aim to have by the end of the year. In this time, I have built a loyal and diverse client base comprised of awesome people who I love working worth, I have specialised in several fields, including comp prep, rehabilitation, sport specific training, rock climbing and am now branching out into mountaineering. Not only am I proud of what I am achieving with my XLPT fit fam, but we have just been recognised by Fitness Australia as the Active Achiever for the NT 2017 as well as Community Achiever NT2017 for the fundraising boot camp we run each Movember, which is really rewarding! Be honest about who you are and the way you want to work- establish a brand that reflects that. If your primary focus is to make money- this is not the industry for you. The fitness industry needs passionate professionals who genuinely want to improve the lives of the people they work with. Think about what you enjoy and then specialise in that field. Practice what you preach and invest in yourself- there is no point having all of the equipment on the market if you are not qualified to use it nor instruct it. I highly recommend FTI (formerly AIK) for their courses- especially the Rehab FX course which has definitely separated me from the rest up in Darwin and industry wide. After being the person at school who always hated PE, it still amazes me that I have chosen a career as a personal trainer! I previously worked in the corporate world, but after stopping work for a few years to have children and then my husband’s job taking us to the USA for 2 years, I was introduced to a boot camp there where I felt like my life was transformed. I discovered how moving my body and pushing my physical barriers built a mental strength and self confidence that I’d never discovered before. As a new mum this, along with the camaraderie of a supportive group, is exactly what I needed. 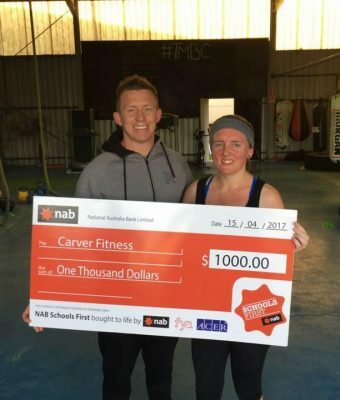 When we moved back to Australia I knew that all I wanted to do was give back to others what I had received and so began by studying my Cert III Gym Instructor and then group exercise courses, followed by the Cert IV PT course in 2016 – all through Onfit. 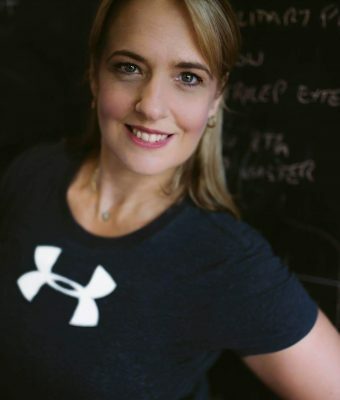 My business is called Firebloom Fitness and predominantly provides outdoor boot camp sessions to groups of women who all in their own ways ‘bloom’ through the fire of exercise. I have recently started offering specific ladies 50+ strength, flexibility and balance classes and mobile personal and corporate small group training sessions. I love what I do and get so much satisfaction from making a difference to people’s lives, while managing to fit it around my family life. I am excited for the future of my business and can’t wait to see what 2018 will bring to see how it will grow and develop. Our bodies were designed to move, so find whatever movement you enjoy doing most and that way you’ll never feel like you ‘have to do it’, but that you actually WANT to do it. It’s also a great idea to find a tribe of like-minded people who support and encourage you – it makes it more fun and interesting and can help motivate you on the days when your personal motivation is low. Finally, you don’t have to be great to start, you just have to start to be great! Don’t be fooled into thinking you have to be fit to join a gym or exercise class – start at your current fitness level, where you are, with what you have and enjoy your own fitness journey. Graduating from Onfit College was one of the most memorable times of my life, the hardest part was what pathway of opportunities that I wanted to take. Since graduating I’ve had the privilege to train some of the most fantastic clients, both young and old and also work along side some great Physiotherapists, Chiropractic and Message therapists one could meet. The best advice I could give anyone is to always prefect your craft, always strive to be better self than what you were yesterday. Whenever my clients tell me they can’t do it my response is always YES you can, this is what separates you from everyone else. Onfit Training College offers a very professional and supportive entrance into the fitness industry. 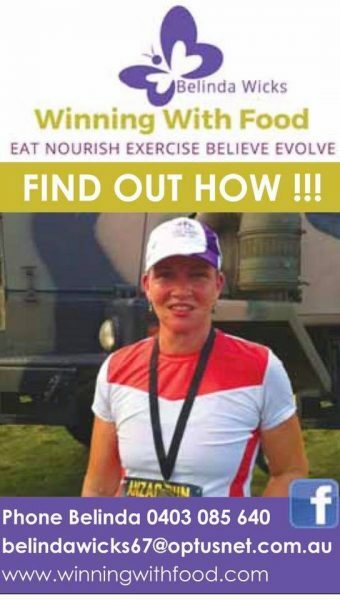 Since my graduation from my Cert III & IV of Fitness, I have expanded my Weight Management Business Winning With Food to include fully supported one on one Personal Training and Group Training Services. 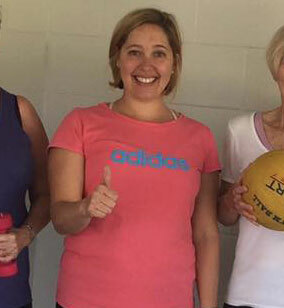 Fitness and Health Services are needed for people of all shapes, sizes and ages my aim is to offer an encouraging space where my clients can feel important and at ease, free to be who they are and to be able to workout with their individual needs being met. Food and Exercise are very basic needs of all people don’t over complicate things, eat real food and move your body. If you have a passion for the Fitness Industry then get started at Onfit Training College and you too will be able to assist and inspire others to put their Health first and start living their best life. I started a small Saturday morning bootcamp which I’ve been running for the past 18 months or so. I then went on to create on a series of fitness challenges to promote healthy living within the local community. My current challenge has 96 participants and nearly $5000 in cash & prizes to be won! Never forget the reason why you decided to get into this industry. In that time I began working on my interpersonal skills and began working 2 days a week as the assistant manager of the club in addition to my personal training. Play to your strengths. Invest in your self-development. Since graduating I started working for a small studio, I was with them for 3 years, they trained me into the trainer I am today. In saying that, the best decision I ever made was to work for myself. It’s so rewarding and my job is not only to change a client’s shape but to also change their life. There’s going to be easy and hard days, even through the hard times, stay focused and think of why you started, always be true to yourself and stay grounded. Take advice and most importantly get out there and change someone’s life, it’s the most rewarding thing you will ever see and do! 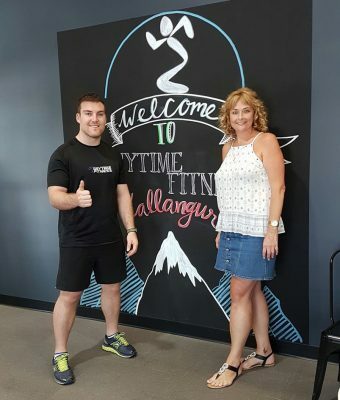 I completed my Cert 3, 4 and Diploma in Fitness with Onfit and have been working at Anytime Fitness Rocklea as a PT doing group classes, 1 on 1 PT and Strength and Conditioning. Don’t stick to the industry standards, be varied as much as you can and learn from everyone you can. 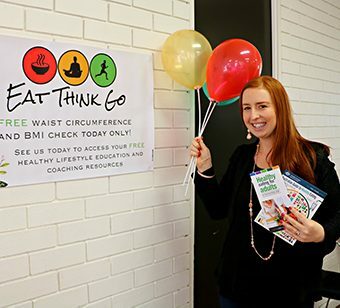 Since graduating from Certificate IV Weight Management with Onfit, I used these skills to train students regarding nutrition and meal planning. I also applied the skills learnt to my personal life to enhance healthy eating and weight management. I have recently completed my Master of Healthcare Leadership and focused further studies into weight management and healthy lifestyles. My research project was on Health Coaching for Long-Term Weight Loss in Obese Adults. Take time to look after yourself and create work-life-study balance. Apply the information learnt to your personal life and not only professional life. Encourage healthy lifestyles and holistic wellbeing. My wellness journey has been a bit of a roller coaster, as i’ve struggles with yo-yo dieting, calorie restriction and overtraining. I’m sure many, who have been through the same search for wellness, can relate. My personal journey and witnessing the struggles many people face, inspired me to use my knowledge and experience to help others who are also looking to improve their well being. After 15 years of working in a corporate office job and teaching dance and fitness part time, I decided it was time to pursue my dream of coaching full time, to help others to improve their health and vitality. So now my goal now days is to serve my clients and guide them to optimal well being. With my expertise in fitness and my current holistic approach to well being, I strive to ensure my clients become fit, functional and fulfilled through our coaching together. 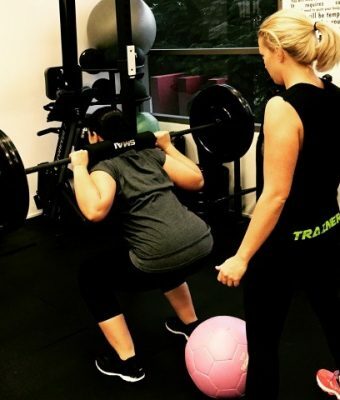 If you are studying to become a personal trainer by completing the Cert III & IV in Fitness, take the opportunity to learn from and not just complete the certificates. This is your opportunity to become a fitness professional that not just works in the fitness industry but who is a leader who delivers high quality, innovative services to clients with their needs as your central focus. Whether it be in your own business or working for another fitness business, the fitness industry needs professionals who have the clients best interests at heart. Be a lifelong learner and use your skills to help others to succeed with the health and fitness goals. 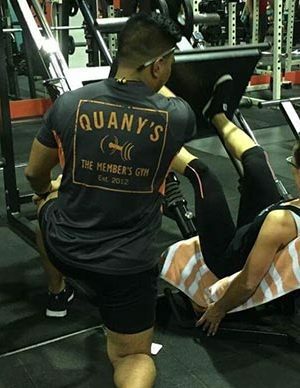 Since then, now for 5 1/2 years, I have been a PT at the same gym in Manly – Fitness at Manly and love every minute of my job. It’s my absolute love and passion. I train ladies only and have approximately 20 clients (some who have been with me for 5 years), I run a circuit class of my own every Monday morning for ladies of all fitness levels and every Friday for the last 3 1/2 years I have been working for a non-profit organisation called 60 and Better where I undertake an aerobics class for ladies that are 60 years and older which I love. Some of these ladies blow me away on how fit they are, amazing to see.